It is with mixed emotion that we announce that coach Federico Bustos will be leaving Trading College. First and foremost, we thank him for being a fantastic mentor, coach, and friend to all of our students and the Trading College team. 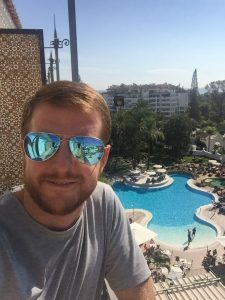 We are extremely proud to have been such a huge part of his journey to becoming a successful and profitable trader. From Coach To Full-Time Trader …. And World Traveller! 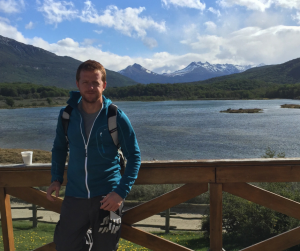 When Federico first joined Trading College as a student, he dreamt of achieving financial freedom and being able to pursue his passion for travelling. Federico has quite the story from a career in hotel management to now fulfilling his dreams of travel, freedom and new beginnings, and this is all thanks to learning how to trade the financial markets. Federico’s unique journey with Trading College is one that we’re extremely proud to share. Fed’s introduction to the financial world of trading has lead to him achieving his dreams. Armed with solid, successful strategies and a determined and motivated personality, Federico has a winning combination. We wish him continued prosperity. Although his career in hospitality gave him plenty of travelling opportunities, Fed craved even more freedom. “I always wanted to be my own boss, and to find a way to earn an income from anywhere in the world.” For Fed, learning to trade the financial markets has given him a skill for life that allows him to achieve this. Since becoming a student at Trading College, Fed has never looked back and is now a profitable and successful trader. Fed was such a star student that Lee offered Fed the opportunity to support students on Trading College’s weekend courses. Not long after, Fed left his job in the hotel industry and started to trade full-time. He enjoyed the freedom it gave him and he was able to travel even more including to Argentina, Lyon, Valencia, Alps and Lanzarote in one year! Federico will be chasing his passion for travel and he is now able to do so while trading on the go. Federico is only 34 and has more freedom than most people will have in their working lives. That’s impressive and inspirational and we feel lucky that we had him as part of our Trading College team and that we were able to help him achieve his goals! You will be missed Federico and we wish you all the best on your travels! Thank you for such a lovely comment. We will keep in touch with you regarding joining the Mentorship Programme and hope to have you onboard soon! We will pass on your kind words to Federico. PS Perhaps we will take you up on your offer to visit you in Thailand!